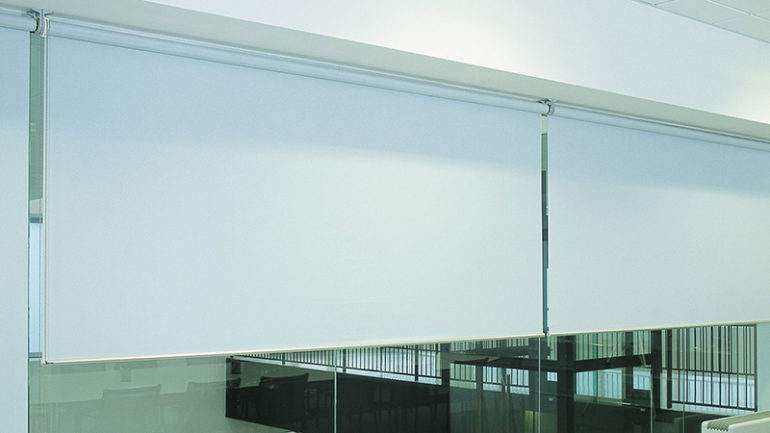 At Corona Contracts, we offer a supply and installation service for Lancashire blackout blinds. We control each step of the manufacturing and installation process, giving us complete control over delivery times and costs. We work closely with clients in order to provide bespoke products for their specific business or institution, making us the go-to choice across the country. There are many advantages to blackout blinds. The first and most obvious is how effective they are at blocking light from entering a room. If this is a priority for you then this type of blind is essential. Whether you are fitting out an office or presentation room with screens and projects, or require blinds for an extensive residence building, Corona Contracts can help you find the right solution. Corona contracts are specialists in creating blackout blinds solutions for commercial clients. We work closely with both public and private sector institutions to ensure that blinds are made and fitted to the highest of standards. Everything we make is create by our in house team in Preston, Lancashire. We work closely with our clients to design the best solution for your needs. This means taking into account the practical requirements for your space, how you use it and the look you want to achieve. We can adapt our services to fit a wide range of budgets which is aided by the fact that can control manufacturing and installation costs. The blinds that we build, using Mottura components, are of the highest quality. By drawing on our extensive stock of fabrics and materials, as well as printing custom designs onto your blinds, we can work with you to find the right look and feel for your blinds. Once created, we offer a complete installation service. Well practiced at meeting health and safety requirements, and working to tight time constraints, our experience team provide an out standing level of workmanship. In all situations, we take care to minimise disruption and be courteous, so of course we clean up after ourselves ensure you are happy with the results. We take pride in the quality of work that we carry out and this carries on into the level of after care that we continue to provide our clients after the work is completed. There are many types of commercial environment where blackout blinds offer an advantage. For work places that use computers, blackout blinds can reduce glare and therefore eye strain. In rooms where projects are used, be it a university lecture room or executive board room, blackout blinds can ensure essential information can be easily seen. For work environments where both noise and visual distractions are an issue, blackout blinds can be used to create a calm, quite space of focus. There of course many other, more specialist uses of blinds ranging from laboratories to photography studies where control of light essential for the task at hand. For rooms where people are sleeping, such hotels or student accommodation, blackout blinds are essential. Maintaining darkness in a bedroom prevents changes to your internal rhythm. We need exposure to ‘good’ darkness at night for quality sleep and quality sleep is one of the most important factors when it comes to quality of life. If you’ve never used them before, you might be surprised at just how much light blackout blinds can block out and the impact this can have on sleep. Many hotel rooms use large windows to make their space more pleasant and naturally this makes the control of light more challenging. Improperly fitted blackout blinds can prevent visitors from enjoying a proper night’s sleep if light is a disturbance. Our blackout blinds are perfectly tuned for the space they’re installed in you can expect no such issues. What’s more, their specific fit will also boost the heat retention of a room, meaning reduced energy bills which can add up to a big saving over several rooms. As well as being great for privacy in rooms where you value it the most, blackout blinds can also help you to reduce energy bills. The material they are made of helps to retain heat in colder rooms, and will reflect heat out of a room when it is hot outside and you want to maintain a cooler environment in your home. All of this means you can avoid wasting extra money on heating or cooling a room, and some studies suggest you could see a 25% reduction in an energy bill, as well as reducing your carbon footprint. This means you will quickly make your money back if you invest in quality blackout blinds. We offer bespoke blinds as well as the “Rollbox” range of high quality technical cassette roller blinds specifically developed for every type of window including sloping skylights. If you’d like to take a look at our Mottura blackout blinds solutions, click here. If you have any questions about our blackout blinds supply and installation services, or wish to get started immediately, please don’t hesitate to contact us. Our friendly, Lancashire based team will be happy to help. What products do you offer other than Mottura? How dark are your blackout blinds? When correctly fitted to all windows our blackout blinds will prevent all light from entering a room.